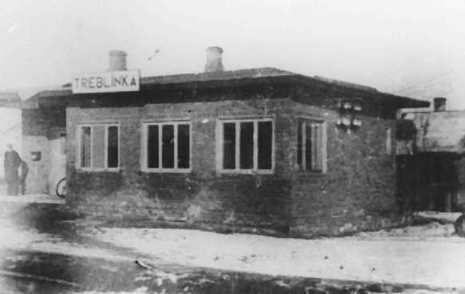 Jewish inmates organized a resistance group in Treblinka in early 1943. When camp operations neared completion, the prisoners feared they would be killed and the camp dismantled. 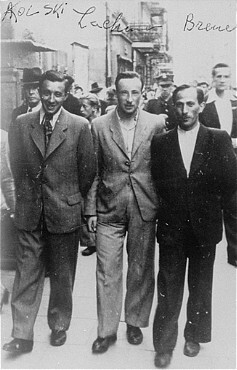 During the late spring and summer of 1943, the resistance leaders decided to revolt. On August 2, 1943, prisoners quietly seized weapons from the camp armory, but were discovered before they could take over the camp. Hundreds of prisoners stormed the main gate in an attempt to escape. Many were killed by machine-gun fire. More than 300 did escape -- though two thirds of those who escaped were eventually tracked down and killed by German SS and police as well as military units. Acting under orders from Lublin, German SS and police personnel supervised the surviving prisoners, who were forced to dismantle the camp. After completion of this job, the German SS and police authorities shot the surviving prisoners. In August 1943, the prisoners in the work details rebelled. They seized small arms, sprayed kerosene on all the buildings and set them ablaze. In the confusion, a number of German soldiers were killed but many more prisoners perished: of 1,500 prisoners, about 600 managed to escape the camp, while only 40 are known to have survived until the end of the war. These survivors are almost all of the known survivors of Treblinka camp. The camp ceased operation. 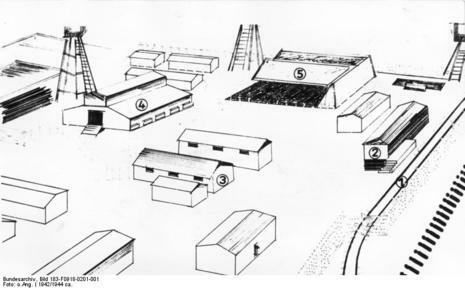 Camp commander Kurt Franz recalled during his testimonies: "After the uprising in August 1943 I ran the camp single-handedly for a month; however, during that period no gassings were undertaken. It was during that period that the original camp was leveled off and lupins were planted." There was also a revolt at Sobibór two months later. 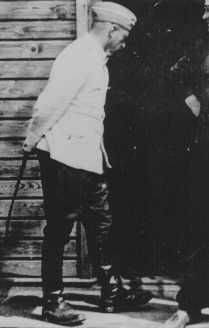 After the revolt, it was decided to shut down the death camp and shoot the last of the Jewish prisoners. The camp had been badly damaged by the fire, and the murder of the Polish Jews was also largely complete. Odilo Globocnik wrote to Himmler: "I have on [October 19, 1943], completed Operation Reinhard, and have dissolved all the camps." The final group of about thirty Jewish girls at Treblinka were shot at the end of November.